Established in 1909 the Wickens Ranch was one of the original homesteads in the Central Montana area. Four generations later we are working hard to carry on the heritage and traditions started with that first claim. Through the years we have steadily expanded and adapted our ranching operation to remain viable and productive while operating two independent ranches. John and Diane run the Wickens Salt Creek Ranch in the foothills of the North Moccasin Mountains with son Eric and his wife Emma. Matt and his wife Jamie, operate the Wickens Ranch Co. 25 miles to the north along the edge of the Missouri River Breaks. Cattle are at the heart of our operation, although as the years go on the recreational aspects of hunting and summer guests have become a major component of the ranch. We thoroughly enjoy the opportunity to meet new people and make new friends while giving them a glimpse into our western lifestyle. We feel god has truly blessed us and given us the good fortune of living out here, making our living from the land and we take pleasure in the opportunity of sharing it with others. Dog Creek Outfitters is a family run operation that specializes in fair chase guided hunts for trophy Mule Deer, Whitetail Deer, Antelope, Elk, and Bighorn Sheep. 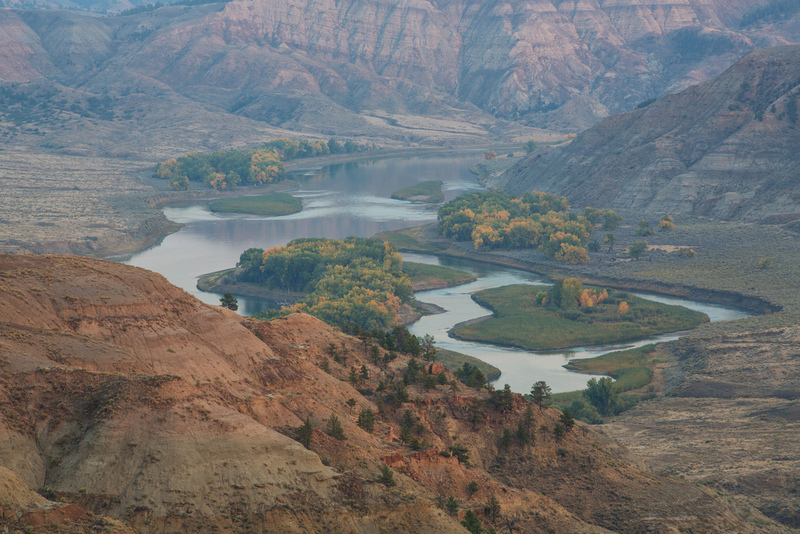 Located in Central Montana, our extensive hunting area includes over 50,000 acres of private land in and around the legendary Judith and Missouri River Breaks. Hunting has been an important part of our ranching operation for more than twenty years; it remains our goal to provide every client a quality Montana hunting experience. Once you are at the ranch everything is taken care of for you. All lodging, transportation, guide service (2:1), meat and trophy care, as well as 3 generous home cooked meals a day. Hunting areas are accessed with 4X4 vehicles, spot and stalk is the most common method of hunting. Game is plentiful in our area; it’s not uncommon to see over 100 animals a day. Our success rates for deer and antelope has been near 100%..